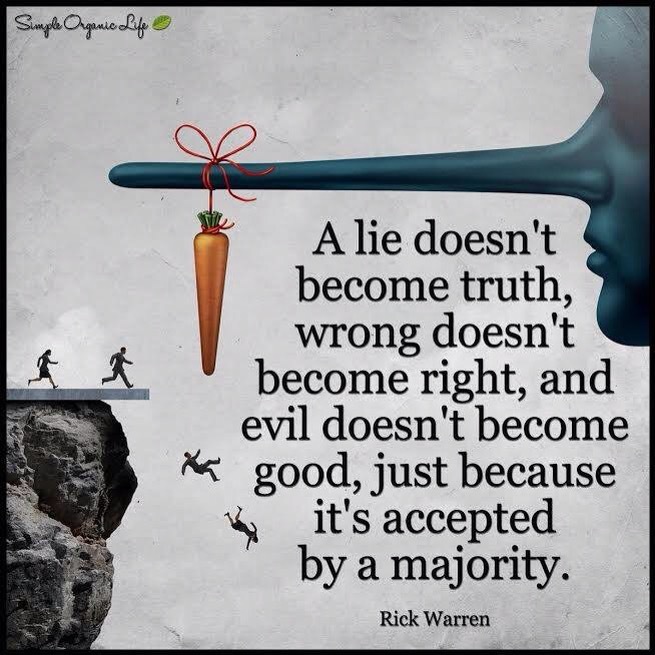 Image • Posted on August 19, 2016 by Brother Murf	• This entry was posted in Actions, Bible, Calling, Choice, Education, God, Life, Love and tagged Accepted, bad, Good, Majority, Right, Wrong. Bookmark the permalink. But the media sure does appear to make people fear what is not real and dismiss the real dangers as if it is not there by acting as judge, jury and executioner of free speech and yet persecute truth that is trying to protect our lives and freedom. . The TRUTH has been made out to be the new lie, at least according to the media & politicians!